As Planning Director for Ogilvy & Mather, Gustavo manages the main brand platforms for different product launches in a short and mid-term bases. He is in charge of the Claro and Philips accounts, driving key concepts for brand campaigns. 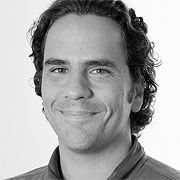 Before joining Ogilvy & Mather, Gustavo was Head of Planning for Dominiocom, an Account Planner DM9DDB, as well as a Strategic Planning Manager for Grey Worldwide. He received his Communications Degree in Marketing at ESPM.